This post will address the most common but unasked concerns on how to use coconut oil on natural hair in the most efficient way. Throughout the African American community, coconut oil has been deemed the Holy Grail for black hair (natural hair and relaxed hair). For African American hair, coconut oil is used for detangling, hair loss, found in most conditioners, and most natural hair regimen. Its benefits are endless and to understand this, you would need to grasp coconut oil in depth. Why is coconut oil so highly loved in the curly hair community? Well, it’s undeniably a super product and its amazing qualities make it a perfect candidate for healthy hair. It’s rich in antioxidants and contains antiviral, antifungal, and antibacterial properties which make it a front runner for scalp health improvement, encouraging hair growth and a healthy option for volume and shine. More than likely, some of your most useful hair and beauty products have coconut oil in it. Its molecular structure allows it to penetrate the hair shaft, unlike most oils which are why shine, moisture, and repair is some of its important qualities. Its richness in fatty acids aids hormones in your body cells which contribute to hair growth. Also, these same fatty acids make it the perfect protein to repair your hair. Damaged hair is where your strands have gaps which in turn creates dry, brittle, and flat hair. Since our hair is made of protein, the protein in coconut oil helps to fill these gaps. This is why most reconstructors and protein treatments are recommended before and after a chemical and heat treatment. As mentioned before, coconut oil is beneficial for hair growth because it promotes healthy hormones in the body cells. Have you ever noticed when you begin to take vitamins, your hair and nails begin to grow? Your body is actually getting the proper nutrients which encourage this reaction. Coconut oil does the same thing to your body. It has vitamin K which allows enough oxygen to penetrate your cells which are able to regenerate and cause hair growth. It also has vitamin E which reduces inflammation and repairs any damage to the hair follicles. This creates a healthy environment for your hair to flourish. Also, its antibacterial properties cleanse your scalp allowing it to breathe which improves blood circulation. Refined or unrefinedly refers to the process the coconut oil goes through to be prepared for your use. Refined coconut oil is bleached and deodorized, hiding its scent and taste. This process is believed that the refining process removes contaminants and most unwanted particles by way of the chemical process. Unrefined coconut oil is referred to as pure or virgin coconut oil. It does not go through a chemical process, but it is treated mechanically. Which is better for your natural hair. While the refining process strips away impurities, it can strip away necessary nutrients defeating its purpose. Unrefined coconut oil is the best option to make sure you are getting the most out of your product and reaping its amazing benefits. Coconut oil is perfect for dulling down a harsh shampoo or boosting the scalp cleansing process. You can either add coconut oil to your favorite shampoo or added it to damp hair before your shampoo sessions, either way; its antibacterial properties will kick in to healthily remove dirt and dandruff from your hair follicles. It conditions your hair while the shampoo strips away the build up. Coconut oil during your hair wash also restores your hair after a clarifying experience. If you choose to add coconut oil to your shampoo, it is up to your discretion on the oil to shampoo ratio. I would definitely start with a little to test the water and adjust as needed. If you decide to add coconut oil to your hair separately, you will quickly apply coconut oil to damp hair. You want to ensure you cover your scalp to ends. Throwing in a few scalp massages won’t do any harm. Without removing the coconut oil, apply shampoo to your hair and shampoo as normal. The shampoo will remove all excess coconut oil. Coconut oil makes a perfect ingredient in your favorite DIY hair masks. These types of masks are affordable, easy to make, and super beneficial for your hair. Also, it’s a great alternative to a natural approach to deep conditioning. 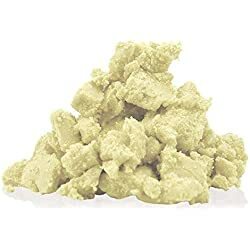 Most coconut oil hair masks are going to be protein treatments which are recommended to be used every 6-8 weeks or after chemical/heat processing treatments. How long do you leave coconut oil in your hair? Unlike some products, coconut oil isn’t detrimental after being in your hair for an extended period of time. You can use it daily, weekly, monthly, or every other month. For example, pre-poo sessions you can apply and leave in as long as overnight or for 30-60 minutes. The time is solely depended on you hair’s reaction. As normal, allow trial and error dictate how long you will leave your coconut oil in your hair. Pre-pooing is when you apply oil, conditioner, and/or any products before shampooing to boost manageability, luster and prevent dehydration. Shampoos can be harsh and pre-pooing prevent harsh detergents in shampoo doesn’t strip your hair. Coconut oil is an excellent oil to add to a pre-poo concoction because it coats the hair strand for protection, hydrates, and detangles with easy. 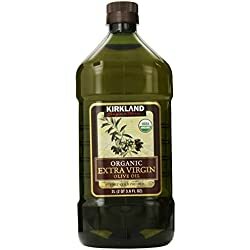 You can add it to your favorite conditioner, with another oil, or use it alone. You would apply your pre-poo to your hair before shampooing and allow it to sit anywhere from one hour to overnight. Is coconut oil a sealant for natural hair? Although coconut oil is definitely a moisturizing oil, it can be used as a sealant as well. It’s moisturizing, and sealing abilities are due to its molecular structure. As a moisturizing oil, coconut oil penetrate your hair in a limited amount. Your hair’s porosity plays a significant role in how quickly it will penetrate as well. Because the amount is limited, the remaining oil coats your hair strands, sealing all moisture inside. It’s a win-win situation. Because coconut oil is a protein rich item, allow trial and error to determine how much you will use on your hair. Both oils are used for scalp health purposes. If you’re suffering from scalp issues or dandruff, this combination is ideal. In contrast, jojoba oil doesn’t penetrate the hair shaft as coconut oil. It has been found to be a semi-moisturizing oil such as coconut oil, but at a much slower and less rate. Olive oil is ideal for people who have protein sensitive hair. Both oils condition your hair, penetrate your strands, add shine and luster, promotes hair growth, and improve scalp health. Like jojoba oil, olive oil does not penetrate your hair strands as much as coconut oil. Olive oil is a light oil and may be ideal for women with fine hair. Both substances can be used in a solid or liquid state although coconut oil will more than likely melt in your hands. Shea butter is a heavier substance and does not penetrate the hair shaft like coconut oil. Together, the two are a force to be reckoned with. Castor oil is way thicker than coconut oil, even though both can be accredited for their contribution to hair growth and antibacterial properties. Castor oil is mainly used for hair regrowth and loss, where coconut oil is more so to repair hair. Castor oil thickness allows it to be used sparingly, which turns around make it about 3 times more expensive. Coconut oil can be used in larger amounts. Coconut oil melts at room temperature, roughly around 76 degrees. To speed up the process, you can place a container of coconut oil in a pot of warm water (either microwaved or from the stove top) and allow to sit until it has melted. 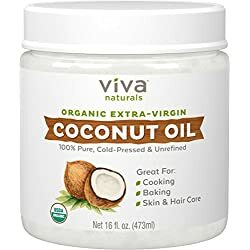 Keep in mind, you must use the coconut oil shortly after or it would solidify again unless you live in a warm climate then you are ready to go. Coconut oil can be found at your local grocery store, retailer, drug store, or beauty store. Amazon, eBay, and online retailers are ideal for finding coconut oil as well!